Tamron today announced a pair of new moderate telephoto primes. The first lens is an update to the venerable 90mm f/2.8 macro that’s been around in their lineup for a long time. This is the third update of the current design. What’s new? XY positioning shifts in the VC (stabilization), faster autofocus motor, addition of moisture/dust resistance, and a fluorine coating on the front element (more necessary than for the first iteration, which had a highly recessed front element). The filter ring has moved up to 62mm, and the lens is a little bigger and heavier than before. The Tamron 90mm f/2.8 has long been one of my recommended lenses, especially for DX macro work, and I suspect that the changes should make this new version continue to make my recommended list. 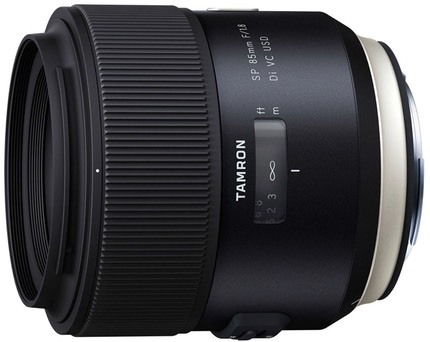 The second lens is new: an addition to Tamron’s f/1.8 prime set, this time an 85mm f/1.8 with VC (stabilization). First thing to note is that this lens is the equivalent of a Nikkor E-type: it uses electronic aperture control. That means that it really is only appropriate for D3xxx, D5xxx, D7xxx, D300/D300s, and FX body owners. Earlier cameras don’t support electronic aperture control, including the still available F6. As with the other lens, we get the newer autofocus system, a better VC system, moisture/dust resistance, and a fluorine coating on the front element. Another interesting feature is the ability to update the firmware for the lens via a new Tamron Tap-in accessory, a bit like Sigma’s USB dock. Tamron also says that Adobe and Silkypix will have lens profiles for the 85mm when it ships.